Remove the camshaft position actuator solenoid valve bolts (1). Remove the camshaft position actuator solenoid valves (2). 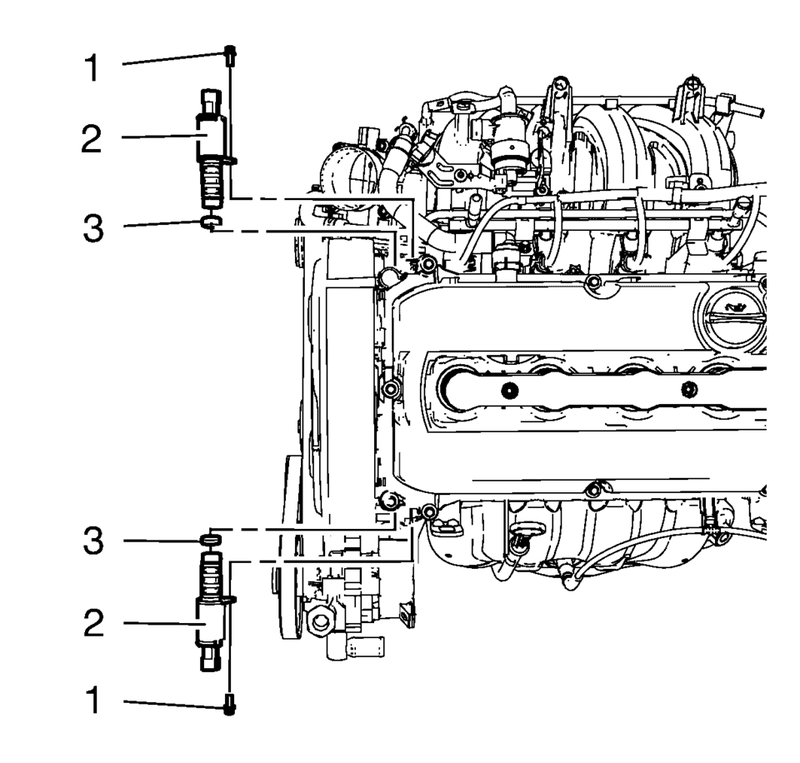 Remove the camshaft position actuator solenoid valve seals (3).